Tonight we have Pumpkin Patch Ale from Rogue. It's Pumpkin Ale from Rogue, made exclusively from ingredients grown by Rogue. 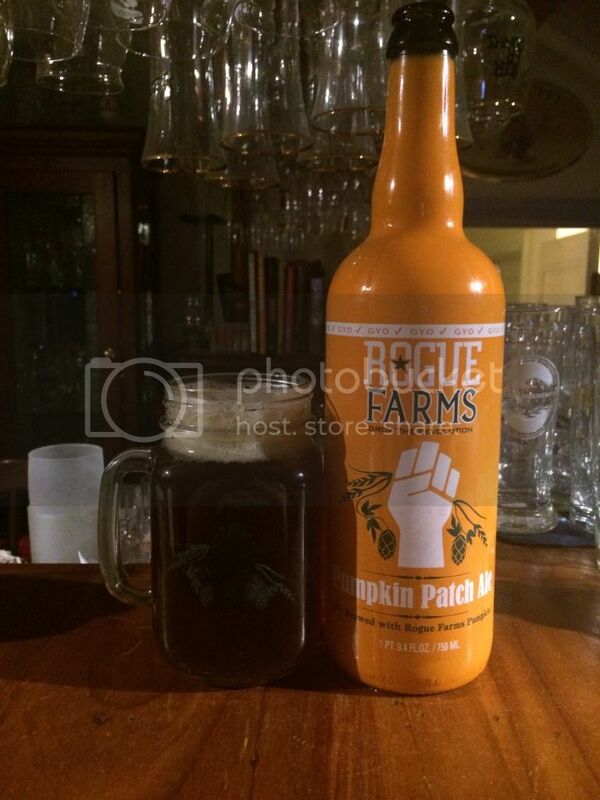 In this case all of the barley, hops and pumpkin used in this beer comes from the Rogue Farms. It's hard to make out in the photo but that is a Rogue Farms mug. Gourd to the Last Drop is a badge for drinking Pumpkin beers. There is a fascination in the U.S. with this typically seasonal beer. Personally I've never really understood the style but I really really want to! If anyone is going to produce the Pumpkin beer for me it'll be Rogue - time to see what it's like! So the beer pours a deep orange tinged amber colour. The head that tops the beer is khaki coloured and relatively short lived. Large bubbles form very quickly and quickly there is only a thin rim of foam left around the edge of the glass, whilst the head retention is non-existent. Having not had a heap of pumpkin ales it's hard for me to judge if it looks good for the style. The nose is how I would expect this to smell, some vegetal aroma - which I will assume is pumpkin and some spiciness. There's definitely some cloves on the nose, which I wasn't expecting, and I think the most dominant spice was nutmeg - again somewhat surprising. Pumpkin Patch Ale is the first pumpkin ale I've had where the pumpkin flavour is recognizable as pumpkin while not being over powering. There beer is slightly on the sweet side and the spices really compliment the pumpkin well. When tasting it not only are nutmeg and cloves prominent but also ginger and cinnamon - it's a really sophisticated beer. This would be my all-time favourite pumpkin ale! So far it's a style that's never really gripped me, probably because I'm not American. This could turn it around for me, the pumpkin flavour was light and the spices just made it a really lovely ale. I would recommend this for people wanting to try the style. 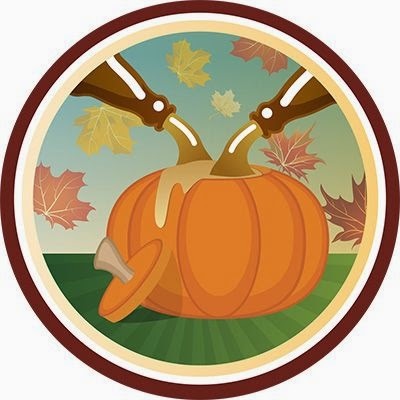 I would love feedback from connoisseurs of the style to whether or not this is a good example of the style or one that appeals to people that don't like pumpkin ales?